standard-title Cosmetic Dermatology Dr Csernus’s aim is for her patients to feel comfortable in their own skin. She brings all of her knowledge, experience and dedication to each patient or visitor, taking care of both general and cosmetic dermatological issues. Dr Csernus likes to place particular emphasis on helping her patients with their choice of everyday skin care products. She also provides skin care advice in magazines and on television, sharing her insights on various skin disorders with readers and viewers in the hope of increasing awareness on the best way to take care of and maintain skin. From the age of 30, our skin is continuously aging. This is a natural process. How much the passing of time affects when and how these changes develop varies greatly from person to person. It depends on various different factors, including genetics, lifestyle, stress and diet. This is why it is always important to establish a tailored treatment plan taking into account the needs and circumstances of the individual patient. Today’s dynamically developing cosmetic treatments make it possible to preserve the beauty of your skin and turn back the hands of time without recourse to surgery. I treat existing skin problems, wrinkles and sagging skin with the very latest medical devices at the cutting edge of technology. I believe – and I see in my work every day – that you can look great, even at a mature age. I am a fan of today’s ‘high-tech’ cosmetic procedures, which are continuously improving and becoming ever more effective and much less inconvenient. At the same time, I also believe in natural processes; I don’t think sudden, dramatic changes are appropriate. You can make someone’s skin look younger without it looking like they’ve had ‘lots of work done’. We strive to turn the clock back a few years while preserving the original attractive features of the individual. All of us want to look good without having to undergo drastic procedures. I only work with the highest quality materials and equipment. At the same time, I would like most women to be able to have access to some kind of skin rejuvenation treatment, which is why I do my best to make sure the cost of treatment remains affordable. That said, I consider quality to be far more important than amazing deals or huge discounts. In my experience, my patients feel the same way. A procedure now exists that not only lifts and tightens loose skin tissue, but also initiates a process of skin rejuvenation and regeneration. Dr Csernus was the first in Hungary to apply PDO Fine Thread Contouring. To get the best results, we recommend supplementing the treatment with barbed ‘cog’ threads that lift the skin. Fine Thread Contouring (FTC) involves placing absorbable threads of various sizes and shapes at an appropriate depth in the skin tissue to enhance the strength and support of the tissue and stimulate the production of new collagen fibers. As a further development of the procedure, ‘cog threads’, which feature tiny barbs, are able to grip and lift the skin. The positive effect can be enhanced further. Art Lifting is the world’s newest procedure and uses absorbable thread. Art Lifting is a truly different, unique alternative treatment that is becoming very popular with dermatologists and plastic surgeons. While the procedure is even more effective than FTC, it can be performed without putting the patient to sleep as it uses only local anesthesia. The threads are stronger than ever, and the ‘miracle’ barbs are packed more densely and shaped differently on each type of thread. As a result, the lifting effect is even greater, and the implanted threads are secured with maximum effectiveness. During the procedure, work is done in the center of the face (known as mid-face lifting, where the nasolabial folds, cheeks and jawline are tightened as required), at the eyebrows (which we lift) and on the neck. We take photographs before the procedure. The treatment area must be thoroughly disinfected, and if a face or eyebrow lift is to be performed, we also sterilize the scalp. This takes around half an hour. The procedure is always performed using a lidocaine-based local anesthetic, or an alternative if the patient is sensitive to lidocaine, which is administered by the doctor in several injections. We combine the anesthetic with a special agent to minimize the risk of bruising. The prepared threads are introduced into the scalp with the help of a cannula. The cannula is then removed and the threads are placed in their final positions. The effects of the approximately 90-minute procedure (or up to one hour for work only performed on the eyebrows and neck) are visible immediately and appear natural. When comparing the before-and-after photos, the improvement becomes even more apparent. You should be prepared for edema (swelling) as a result of the procedure, but this mostly passes after 1 or 2 days. We recommend sleeping on an elevated pillow after the procedure, and encourage you not to open your mouth wide or participate in any sporting activity. The threads are usually ‘incorporated’ within about two weeks, and any possible discomfort usually disappears. The effects are lasting and can often be observed for as long as two years. Following the procedure, a follow-up appointment set by your doctor is required. How can you prepare for the procedure? Any kind of anti-coagulant increases the risk of bruising, so it is worth avoiding those medications for a week before your appointment. If you are suffering from a chronic illness, are pregnant, nursing, or are prone to keloid scars, sensitive to lidocaine, or are taking any form of medication, you must inform your doctor. We must also be informed of any cosmetic procedures you have undergone in the past year, and whether you have any implants, filler, or thread placements in the area to be treated. Biolifting involves the placing of several sterile homeopathic ampoules (tiny capsules) through acupuncture points in the area to be treated. This is carried out with tiny needles to ensure that there is no great discomfort during the treatment. There is no recovery time, with the worst and only side effect being some slight bruising in the area where the needle is inserted, the trace of which will disappear after a few days. This is a genuine lunchtime treatment! Injecting the materials into the correct points stimulates the skin to produce its own collagen – improving the production of connective tissue – ensuring skin tone will continually improve by using the body’s own energy. The materials used for skin rejuvenation help neutralize free radicals by stimulating the metabolism, producing an antioxidant effect and improving the synthesis of collagen, elastin and hyaluronic acid. At the end of the treatment, your skin will be visibly more hydrated, compact, smoother, fuller and more pleasing to the touch. This is not a wrinkle filler; it is much more complex. It enhances the overall appearance of the skin, making it much more compact. Previously wrinkled skin on the face will be smooth once again, and that tired-looking appearance will regain its youthful appearance. It is perfect for use in combination with any other kind of procedure, and in my experience it is forms excellent basis for improving the duration of other treatments such as hyaluronic wrinkle fillers, and also aids recovery after laser treatments. We use ampules with different formulas, and often make other combinations according to the individual needs of the patient. This can be used to reinvigorate a tired and gray face even at a younger age. For older, more mature skin it can be used to enhance other treatments. Treatment sessions can take place once a week or every two weeks, with six to eight sessions usually required (for treatment on the chin ten sessions are usually needed). Maintenance treatments are recommended, with one to two sessions per year to preserve the results achieved. As we get older, growths can appear on our bodies. Most of these are benign, but they are not aesthetically pleasing. There are several fast and effective methods available for their removal. The first step is always an accurate diagnosis from a dermatologist, before the selection of the appropriate method for removing the growth. Fibroma: benign growths of connective tissue, usually forming on the neck, armpit, groin or chest. Smaller fibromas are flatter, while the larger ones attach themselves to pedicles and can get bigger over time. These fibromas don’t usually cause any problems, but they are unpleasant and if they get caught in your necklace, for example, they can get twisted and start bleeding. They are not particularly nice to look at, which is the main reason many people decide to have them removed, which can be performed with a scalpel, cauter, radiofrequency knife or laser. Angioma: These are red, pointed benign growths. Almost anybody can find them on their body. If they are still small, they don’t typically cause any problems, but if they grow larger, then it is a good idea to have them removed, as in this case they can bleed a lot and potentially cause harm. It is best to remove them with a laser, though they can also be removed with a cauter. Seborrheic keratosis: These crumb-shaped growths are of different sizes and vary in color from light brown to a rather frightening black color. Many people mistake them for malignant melanomas, one of the most malignant forms of skin cancer. Seborrheic keratosis is a harmless tumor and cannot transform into cancer, though they do spread across the whole body, so if several of them appear, it is worth having them removed. Any kind of destructive procedure or scalpel can be used to remove them. Botulinum toxin, more widely known as Botox, works by preventing the release of ACH from the nerve endings of the muscles, blocking stimulus being passed to the muscles, and temporarily restricting muscle movement. This treatment is an excellent solution for straightening frown wrinkles between the eyebrows and eliminating forehead wrinkles and crow’s feet around the eyes. It can also be used to shape the lines of the eyebrows, while still preserving the ability to form facial expressions. Botulinum toxin can also be used in smaller quantities on the lower face to correct cigarette wrinkles in combination with other treatments, weaken the muscles that pull the lips downwards or to rejuvenate the neck area. Please note that the effect is not immediate, with results usually only visible after 7-14 days. Often, wrinkles caused by the breaking of the skin – known as static wrinkles – don’t completely disappear after Botox injections. These wrinkles can be treated with fillers or other skin rejuvenation treatments. Having said that, the broken skin is often capable of regeneration and static wrinkles can improve after Botox treatment. The effects of the injections usually last two to four months, but in some cases up to a year. The movement of the muscles will regress to their previous state – though it will be no worse than before the treatment – at which point the treatment can be repeated. During the course of treatment, small pinpricks are made in the area of the skin to be treated and the botulinum toxin is injected. The needle used is as small and thin as possible and only a very small amount of the material is injected. Any discomfort is minimal and most people find it easy to bear. Any side effects are temporary. There is usually no trace left by the procedure, though some swelling, redness and in rare cases bruising in the injected area can appear, but this will pass after a few days. Any bruising can be covered by make-up. Rare side effects include influenza-like symptoms and headaches for a few hours or days. Partial eyelid droop occurs in less than 1% of cases. All side effects are temporary and will pass without the need for intervention. 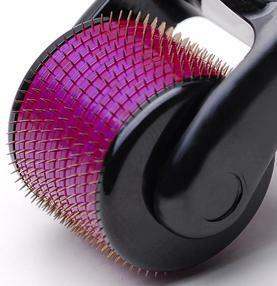 Derma roller treatment involves rolling a cylinder with hundreds of tiny needles over the area of skin to be treated. During the treatment, the derma roller makes hundreds of small incisions in the skin. Each of these tiny incisions activates the body’s natural self-healing capacities, causing the formation of active cell materials which stimulate the rejuvenation and reinvigoration of the skin’s base and fibers. The treatment in itself is very effective, but because the roller’s needles also open up channels, it is also used in combination with mesotherapy. Derma roller treatments can vary in effectiveness from one clinic to the next. In my clinic, I use the most up-to-date, specially designed DTS rollers, which can achieve effective results in fewer treatment sessions. Thanks to the newly formed collagen fiber, the skin on the face is brighter and fresher, wrinkles are significantly reduced and scarring is improved. Skin may remain red for three to for days, but make-up can be applied to cover any redness six hours after the treatment is completed. Eyebrows, bruising and scabbing may occur. In the days following the treatment, the skin may feel tight and there may be some light peeling and dryness. Post treatment skin care should be discussed with the treating doctor. It is very important to observe good hygiene and only touch the treated skin with clean hands. Sunscreen with a minimum factor of SPF 30 should be used for at least two weeks after treatment. During these two weeks do not visit the solarium or sunbathe. The recurrent herpes simplex virus can be activated by treatment, so the doctor must be informed about the presence of the virus beforehand so they can prescribe the right medication. It cannot be used with collagen induction therapy if the patient has an active infection or open wound on the skin surface, active herpes simplex, insensitivity in the area, problems with healing, the risk of the formation of keloid scars or three to six months after taking a drug containing isotretinone. To achieve the best results, it is often necessary to have a series of treatments, usually four to five sessions, though this can vary from person to person. Maintenance treatments may also be necessary. The final results of treatment are usually visible after two to three months, as this amount of time is necessary for the rearrangement of the connective tissue. During this time, the skin improves on a daily basis. Excessive sweating is an extremely discomforting problem that can affect your quality of life and often requires treatment. In most cases, there is no need to look for special causes, as there is only a small chance that it has developed as a result of diabetes, thyroid problems or other issues. Sweating in the palms of the hand, the soles of the feet and the armpits is one of the most common and perhaps one of the most troublesome problems of everyday life. Sweat marks visible through clothing are very embarrassing, and sweating will often lead the clothes to change color over time. Palms can be constantly sweaty as a result of everyday stress, while a relaxed working environment is often not possible, objects slip from the sufferer’s hands and in severe cases metal objects may also be corroded. It can also be an issue when conducting personal relationships, with shaking hands just one example. Sweating on the soles of the feet can create a powerful smell, while it can also affect walking and cause shoes to wear out faster. Abnormal sweating can increase the speed of development of various pathogens, meaning the affected area is constantly overwhelmed and the underlying problem is further aggravated. Hyperhydrosis is not something to be ashamed of, it is something to be treated. For many patients, special antiperspirant formulas available with a prescription are effective, and can be used once a day or once every other day in the evening. This is the rarest form of scarring. Relative to other types, keloid scars are the result of an aggressive scar healing process. They spread beyond the edges of the initial wound. This is primarily an aesthetic problem, though you may also experience pain and itching around the scar. Treatment is always recommended. The possibilities for treatment include injection therapy, compression treatment and cryotherapy, or in certain cases surgical intervention. Many people confuse this type with keloid scars. They are both raised, but hypertrophic scars do not protrude past the initial wound, and will heal by themselves over time. They usually react well to treatment: freezing, injection treatments, laser treatment or surgical treatment can all be considered. These small, bizarre-shaped scars are formed in the place of earlier acne inflammations. They are sometimes very deep, with ice peak scars affecting the subcutaneous fat tissue. Initially, after post-inflammatory hyperpigmentation, these scars may be darker than the surrounding skin, with the pigment turning darker over time. In time, these scars will become even more visible and indistinct. The best choices for treatment include fractional CO2 laser, radiofrequency micro needles, medical deep peels and Dracula therapy. Hyaluronic acid is the most common material used for lip augmentation and enhancement. After a certain age, everyone’s lips start to thin. Lip fillers do not have to produce ‘duck lips’; it is very possible to make almost imperceptible but worthwhile changes within the boundaries of good taste. Slightly fuller lips can be beautiful, and there is no doubt that getting back the original contours and volume of your lips will make you look younger. Instead of increasing the size of the lips, lip contour enhancement reinforces the lines of the lips, as if we were using a lip-colored lip contouring pencil. This will not make the lips fuller, but the lines will be more strongly defined. By correcting the contours of your lips, ‘smoking lines’ perpendicular to the mouth can also be reduced. Hyaluronic acid injected directly into the lips will make them fuller. The two techniques can be used both individually and in combination. Correcting cigarette lines above the upper lip often makes the lips themselves fuller and more beautiful. Marionette lines, which form at the corners of the lips, can also be corrected. These types of wrinkles usually deepen with time due to repeated facial expressions and the sagging of connecting tissue, especially around the chin. If filler is applied to this area, the lips will regain their fresh and youthful appearance. The philtrum is the groove between the upper lip and nose. By filling the double lines of the philtrum, we can give the upper lip a better shape and well-defined lines to make it more sensual. This effect can be further enhanced by filling the ‘Cupid’s bow’ at the base of the lines of the philtrum. Before the treatment takes place, the procedure and the type of filler to be used are decided based on the patient’s expectations, the shape of their lips and their facial features. Side effects: You can expect some swelling on the lips, which can be reduced with ice. Drinking less liquid than normal in the first 24 hours following the treatment can help minimize any bruising or swelling. For the immediate correction of lines and wrinkles. Hyaluronic acid is a natural component of the skin’s connective tissue. The concentration of hyaluronic acid in your body gradually decreases as you get older. This is one reason why skin loses its flexibility and tone, allowing wrinkles to develop. The body is able to completely break down the material used in hyaluronic acid fillers and it is then absorbed without leaving a trace. These materials are not of animal origin: they are produced by biological fermentation, so there is no need to take an allergy test prior to treatment. There are many cosmetic treatments available, including bio-stimulation treatments with effects that will still be visible weeks and months later. These treatments are able to genuinely rejuvenate the skin and reverse the aging process. A hyaluronic acid wrinkle filler is different. It is ‘only’ an immediate fix. Of course, wrinkle fillers are no substitute for what are known as stimulation treatments, such as derma roller and laser treatment. If a client is seeking an immediate solution, a wrinkle filler is a good choice, as it will fill out wrinkles, lift sagging skin and make the patient look five to ten years younger on the day of their visit to the clinic. On the other hand, if you want to eliminate very deep wrinkles, you will need several sessions of derma roller treatment or blood therapy, fillers are a convenient and quick way to correct the problem. Other treatments can then be used to enhance the results and ensure they are long-lasting. Of course, it is not always necessary to use this treatment in combination with other types of treatment. Hyaluronic acid wrinkle fillers are often used on their own. Personally speaking, I prefer to combine treatments in order to achieve more complete rejuvenation results whenever possible. Fillers are often used to eliminate nasolabial folds, which for many of us are among the first and most irritating type of wrinkle. It is also possible to fill out the marionette lines that form at the corners of the mouth, also known as lip wrinkles. Fillers can also be used to treat wrinkles in the glabella – the space between the eyebrows, correct ‘cigarette lines’ below the mouth and improve the appearance of bags under the eyes. Hyaluronic acid can also be used to improve contours and replaced lost volume and lift sagging skin without surgery. Of course, there are some situations where surgery is the only solution, but it doesn’t make sense to wait until then, as there are techniques which can be used to avoid the need for the surgeon’s knife. In fact, there is now a large trend towards smaller, minimally invasive procedures. Recovery time: Very short. Slight swelling possible for two to five days, redness in treated area which can usually be covered with make-up, though in most cases this does not occur. There can also be some bruising in the injected area, which will usually pass after a few days to two weeks. Recommendations for pre and post treatment: We provide guidelines and useful advice before the treatment begins. Duration: Usually 6-12 months, can last longer with small correction and bio-stimulation treatments. This treatment is one of the most effective, versatile and aesthetically pleasing skin rejuvenation methods. A combination of professional expertise and the use of high-tech equipment ensure stunning results. The treatment involves a laser which emits a beam in precise wavelengths which reach the skin in microscopic columns, stimulating the formation of new collagen fibers while preserving the skin between the columns. Older laser types would burn the entire skin surface, so the recovery time lasted several weeks, while the risk of potential complications was much greater. This new fractional laser technique has made it possible to recover from the treatment in just a few days, as the untreated areas of skin are able to regenerate immediately. Fractional CO2 laser treatment can be used to correct damage from the sun, rejuvenate aging skin and noticeably improve pockmarked, scarred or patchy skin. Treatment can eliminate smaller crow’s feet, reduce deep wrinkles and make your skin more toned, younger, compact, radiant and even in color. The treatment process: Once the face or other area to be treated has been cleansed, disinfected and provided with local anesthetic, the treatment itself can begin. Dr Csernus will personally calibrate the machine and the strength of treatment in line with the patient’s issue. The state-of-the-art equipment significantly reduces the treatment time, as the machine is able to produce the same amount of energy as other laser machines in a far shorter space of time, meaning that the discomfort experienced during treatment can be minimized. Facial treatment, for example, typically takes just twenty minutes. Following the treatment, a soothing face mask is applied to the patient’s face, as well as balm and sunblock. Post treatment: The skin will be slightly red and swollen for two to three days, and after a few days there will be some almost imperceptible peeling. Please read the treatment guidelines for fractional CO2 laser treatment! Improvements will be noticeable one week after treatment, though the parallel construction of new connective tissue fibers can take from two to three months, or as much as six months in some cases. From week to week, your skin will be stronger and more toned, there will be a visible reduction in pores, scars and acne, while wrinkles will continually soften and sagging skin will be increasingly more toned. If the treatment has been applied to the eyelids, they will open up again and lose their tired appearance. They can also be raised in a natural way by using this method. This treatment is an excellent way of avoiding the need for eyelid surgery, and if someone has already undergone cosmetic eyelid or facial surgery, fractional CO2 laser treatment is recommended in order to preserve the results of the surgery. Because the forehead will be richer in stronger collagen fibers, the eyebrows will lift naturally. 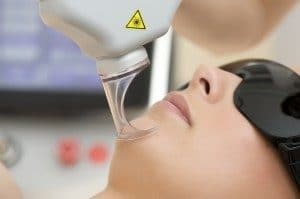 It is important to be aware that although there are various different fractional laser machines, there are some properties that some machines have and others do not. For this reason, there can be a big difference in the effectiveness of the treatment and the final result. The machine’s settings are calibrated by the operating doctor, which is why it is important for an experienced dermatologist who knows how to handle laser treatments carries out the procedure. How long the results of the treatment lasts varies from person to person, but we are usually able to achieve long-lasting results. Just one treatment session can bring visible results, though we usually recommend three to four treatment sessions for the best results, and potentially maintenance treatment sessions once or twice a year. IPL (Intensive Pulsed Light) treatment is an extremely popular form of treatment as it requires minimal recovery time and is effective at targeting freckled skin damaged by sunlight, wrinkles and facial flushing caused by vasodilation, and can significantly improve the texture and tone of the skin. This gentle, non-invasive method of treatment can be used to treat any part of the body, most commonly the face, neck, décolleté, hand and forearm, and can also be used for long-term hair removal. The IPL system produces intense pulsed light, which is calibrated in terms of its filter, intensity and length, depending on the skin type and the reaction of the skin. The pulsed light absorbs certain colorants (chromophores such as melanin and oxyhemoglobin), and stimulates specific layers of the skin (collagen and elastic fibers), reducing any damage so the skin structure can improve and the skin will be smoother, more toned and youthful in appearance. Wrinkled or sun-damage skin on the face, décolletage, neck, etc. Do not expose the skin to be treated to any solar radiation or UV rays (sunbathing, solarium) for a minimum of four weeks prior to treatment. Do not use any kind of self-tanning product for four weeks prior to treatment. Directly before the treatment, shave the area concerned if necessary in order to prevent the hair burning or causing surface reactions. Men should shave the area to be treated at least twice before the treatment begins. There is a possibility of hair loss when treating the beard area. Taking or the local application of any sensitizing medicine or certain medicinal herbs must be suspended for the duration of the treatment (e.g. antibiotics, iron supplements, sedatives, diuretics, St John’s wort). Creams containing retinol, Differin, glycolic acid, whitening products and exfoliating agents should not be used one week prior to treatment. If possible, the skin should be cleansed and free of make-up on the day of treatment. It is not possible to treat areas of the skin that have tattoos or permanent make-up. If the patient has previously had oral herpes, antiviral therapy is recommended three days before the treatment. Medicines containing Roaccutan and other isotretinoins should be discontinued six months before treatment. Modern pulsed light skin rejuvenation treatment is both effective and non-invasive. There is no convalescence or recovery period required following the treatment: the patient can return to work or any leisure activities immediately. Ice may be gently applied to the affected area. If the patient suffers sunburn, there may be a similar reaction to that seen in the hours following the treatment. Slight redness, edema (swelling) or bruising is normal, and may last for a few days. The skin will be more sensitive in the first two to three days. A light face wash is recommended (e.g. Image Ormedic face wash or Bioderma Sensibio gel) with lukewarm water and without scrubbing the skin too hard. Everyday hydration creams and make-up can be used immediately after treatment as long as there is no surface damage to the skin. It is very important to avoid using sunscreen, solarium and self-tanning creams in the period between treatments. Wide spectrum (UVA/UVB) sunblock is recommended with a minimum SPF of 30, applied every two hours (e.g. Image Hydrating Moisturizer, SPF 30). Wearing a hat in direct sunlight is also recommended. Pigmented areas will appear darker after treatment and will look gray in color. The skin may also appear blotchy. These areas will heal naturally. Avoid hot baths, saunas and intensive sweating for 24-48 hours after treatment, or until there is no sign of redness. Cosmetic products that can irritate the skin (e.g. retinol, fruit acid products and scrubs) should be avoided for one week. Chemical peels, facials and micro derma-abrasions must not be applied for one week. The treatment can be repeated every four to six weeks. To treat pigmentation, one or two treatment sessions may be sufficient, but more treatment sessions are needed to achieve long-lasting results. For diffuse redness (e.g. rosacea), four to five treatment sessions may be necessary. If you should have any question or concern, or experience an unexpected reaction, please call us immediately. Facial veins consist of small dilated vessels close to the surface of the skin. They are completely harmless lesions, but often lead to troublesome cosmetic problems. They can emerge on any part of the body, though they most often appear on the face, nose, cheeks or legs. They can also appear during pregnancy, and are more common on skin with rosacea or acne, or older people. Treatment with IPL or diode-laser treatment can help eliminate these small veins. Using IPL or laser treatment to remove the veins can cause a certain amount of inflammation and coagulation, which is then broken down and reabsorbed into the body. After treatment, you may experience some temporary redness, swelling or a burning sensation. It is not possible to treat areas of the skin which have tattoos or permanent make-up. Medicines containing isotretinoin, such as accutane, should be discontinued six months before treatment. The treatment can be repeated every four to six weeks. To treat pigmentation, one or two treatment sessions may be sufficient, but for long-lasting results more treatment sessions are needed. For diffuse redness (e.g. rosacea), four to five treatment sessions may be necessary. If you should have any question or concern, or experience an unexpected reaction, then please call us immediately. We are often reminded that it is not enough to make your face look younger: it is also essential to rejuvenate your neck and décolletage (neckline) to really look more youthful. The skin of the neck and décolletage is also thinner than the skin of your face, so it reacts more slowly to any treatment, which is why it is worth investing in treatment on these areas prior to having any facial treatment. Prevention may be the best cure, but if wrinkles, marks or the hated turkey neck have already emerged, there is still time thanks to cutting edge techniques. Because the skin of the neck and décolletage is more sensitive, the procedures used to treat it is usually more gentle, such as thin needle contour treatment, micro needle radio frequency and fractional CO2 laser treatment, while medical deep peels can also be used if necessary. There are also hyaluronic acid fillers available for surface wrinkles on the neck and décolletage, perfectly smoothing broken skin. Pigmentation on the skin can be removed with lasers, freezing or chemical peels. The sagging skin of what is often referred to as turkey neck can be treated by inserting thick threads into the skin to draw back the skin to towards the ears. If the amount of excess skin is too great, then of course plastic surgery is also possible, though it is now possible with the right treatment to avoid surgery or prolong the time until it is needed. Chemical peels are the kind of treatment that you will almost certainly fall in love with if you try it once. We recommend it to all of our patients who want to preserve the health of their skin or correct fine wrinkles, pigmentation, or scarring. It can be used on its own or in combination with other treatments. 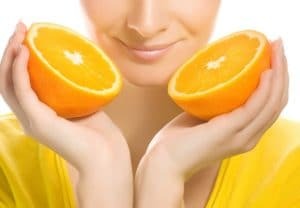 There is no particular age where it can be said people have no need for peels, as it can be very effective in combating acne in young people and for older people whose skin has been damaged by sunlight. By stripping away the first layer of the skin, chemical peel treatments essentially kickstart a controlled healing process, causing the skin to rejuvenate and regenerate and for collagen to realign. There are various different peels available with different ingredients and the type of peel used is chosen depending on the skin type and skin problems of the patient. For people with young skin, these peels are only used in cosmetic medicine to treat acne or pockmarked skin or reinvigorating the skin to allow the active ingredients in creams to have a deeper effect. This treatment can also be used to reinvigorate your appearance if you have more mature skin, but is more often used to prepare the skin for medium or deep medical peel treatments. There is no recovery time for this kind of treatment. Once the treatment is completed, the skin will immediately be cleaner, more radiant and better hydrated. There is either no or minimal peeling. Image Ormedic Peel: Very good for reinvigorating pallid skin which has lost its balance. Highly recommended for teenagers and expectant mums. The aloe gel contains 15% peeling organic fruit compounds and organic liquorice, which gently whitens the skin. Can be used once a week. Image Signature Face Lift: The queen of superficial peels! Very effective for sensitive rosacea skin. The aloe gel base contains 30% active vitamin C, one of the strongest antioxidants. The color of the skin is immediately brighter after treatment. Its composition of meadowsweet, comfrey and chamomile provide immediate relief for the skin. Image Lightening Lift: A gentle peel containing lactic acid and cocci, which is used to lightly peel and whiten the skin with a tyrosinase-inhibiting effect. Acne Lift: Recommended as preventative treatment for aging skin and for preparation prior to anti-wrinkle peel treatment. The peel contains glycolic acid and retinol and has a collagen-synthesis stimulating effect which refreshes the skin. The active vitamin C content has a powerful antioxidant effect which neutralizes free radicals and revitalizes valuable polypeptides. Image Wrinkle Lift: Peel for pimpled skin containing salicylic and glycolic acid. Reduces fat production, combats the propioni acne bacterium that grows in the sebaceous glands and cleanses pores. Also contains green tea, chamomile, meadowsweet and comfrey, which soothe the surface of the skin affected by acne. These treatments can only be carried out by a specialist doctor. Medium and deep peels are primarily used to treat wrinkles, crow’s feet around the eyes, cigarette lines below the lower lip, pigmentation, aging and blotchy skin on the neck, décolletage and hands. These are treatments that everyone needs once they pass a certain age and are capable of rejuvenating the entire surface of the skin. TCA: Trichloroacetic acid peels are the most popular choice for medical medium and deep peels. They not only remove the outer layer of the skin, they also stimulate the production of new connective tissue fibers slightly deeper down as well. Orange TCA Peel: This is the key to that Hollywood glitz! Once a drastic procedure, in most cases the recovery time is now surprisingly short. This peel contains trichloroacetic acid, salicylic acid and retinol, and works wonders for seriously sun-damaged, grey, pallid and aging skin. The immediate stimulating products which ensure immediate regeneration and the special, product package designed specifically for post-peel skin care ensure a quick recovery post treatment recovery time. Can be used once to twice a year, ideally in the months where there is less sunlight. Skintech TCA Peel: Also a trichloroacetic acid peel. Works more slowly and gently. TCA peels are recommended for more sensitive skin. Repeated four times with two weeks between treatment sessions, two to three times a year. The skin will peel away in large quantities. Image Perfection Peel: This peel contains salicylic acid, lactic acid and retinol, and is recommended for patients with darker skin or who would like to have medical peel treatment with less noticeable peeling. Especially suitable for treating acne. You don’t have to prepare for medium and deep chemical peel treatment, but better results and more effective exfoliation can be achieved if you do. Preparation can be carried out at home using a special face wash or pre-peel products for two weeks or one or two superficial peels at the clinic. In the event of known allergies, a history of oral herpes or dermatological disorders or diseases, please consult the treating doctor. The use of post-peeling products after the treatment is recommended in line with your doctor’s instructions. Do not expose your skin to direct UV radiation for two weeks. Visiting the solarium or sunbathing is not recommended. Wide spectrum (UVA / UVB) min. SPF 30 sunscreen is required. Do not rub the skin vigorously and do not tear off flakes of skin, as this can lead to scarring and discoloration. If you have severe itching or any sign of inflammation, please contact us, as a prescription anti-inflammatory cream may be needed. Waxing, hair removal, laser treatment and micro-dermabrasion cannot be performed for 10-14 days after the peel treatment. Wait seven days before using any cream containing retinol or other exfoliating ingredients. Do not go to the swimming pool or sauna for at least seven days after the treatment. If you started a antiviral course before treatment, please take the full dose. Treatment may lead to redness, swelling, dry or taut skin, skin sensitivity and crinkling and visible peeling, which may last 1 or 2 weeks. Existing pigmentation areas may become darker and temporarily gray and brown in color. A beautiful pair of hands defines the body. If we are talking about youth, then it’s worth investing in rejuvenating your hands, as it is often the hands that give away our true age. If you keep your face, neck and décolletage youthful, then it is especially important not to forget to keep your hands looking healthily young too. Thanks to modern techniques, there are countless possibilities for treating thin skin on the hand. The thinner the layer of connective tissue, the greater the requirements and the harder our work is, and this is especially true for hands. Which is why it’s important to start treating your hands in good time. It is a good idea to begin treatment following the appearance of the first wrinkles and loosening of the skin. There are many different methods for making the skin of your hands more compact. These can be applied on their own, but combined treatment is even better. The skin on your hands can be treated best with mesotherapy, Dracula/PRP treatment, fractional CO2 lasers, micro needle radio frequency and various different peels. If the fat cells under the skin have been significantly reduced, then the ideal solution is to use the cannulation technique with a hyaluronic acid filler under the skin, returning lost volume to the skin of your hands. In mesotherapy, various substances are injected into layers of the skin that cannot be reached by conventional means. Usually, we place a combination of different materials into an ampoule and then inject the contents into the skin using tiny needles or a mesotherapy gun. The materials used depend on the issue to be treated. They include hyaluronic acid, antioxidants such as organic silicon, growth factors, amino acids, multivitamins and various herbal agents, stem cells and cell-penetrating peptides and cytokine complexes. There are also ampoules available for pigmentation containing materials to regulate melanin production, including glabridin, liquorice extract and glutathione, which can lighten pigment spots. Pine bark (pinus radiate) has a regulating effect on fat, and is effective in the treatment of oily, pimpled skin. Antioxidants, growth factors, stem cells, and stem cell stimulants are most suitable for wrinkle removal, skin rejuvenation and rehydration. The PRP treatment (Platelet Rich Plasma), more commonly known as Dracula Therapy, is one of the latest and most natural methods of skin rejuvenation. It is an especially ideal choice for those who prefer natural solutions but expect visible results of skin rejuvenation. PRP therapy has been widely used in medicine for years: it is used by orthopedic surgeons to treat chronic joint pain, but its use is also widespread and well-known in several other surgical professions such as oral surgery and cardiovascular surgery. It is one of the safest and most efficient methods of skin rejuvenation. During the course of the procedure, we will take blood from the patient and, using a special method, separate the platelet rich supernatant from the blood. This centrifuged blood is the most valuable tool in the process of skin rejuvenation, and makes up only 1% of the blood sample. It is therefore very important to the success of this treatment for our facility to be equipped with the latest technology to precisely extract this layer from the blood. Quality is very important in every area of cosmetic dermatology, but even more so when it comes to the extraction of the smallest cells in the blood, the platelets. In order to extract the highest concentration and most active PRP, we use state-of-the-art technology to ensure the treatment is as effective as possible. Platelets, or thrombocytes, contain all the human growth factors essential for the healing of wounds. One example is PGDF which, among other things, is responsible for stem cell stimulation; TGF, which stimulates the buildup of connective tissue; ILGF, which is responsible for wound healing; and EGF, which stimulates cell differentiation, making it responsible for the formation of healthy epithelial cells. Additionally, thrombocytes excrete several proteins, which play a key role in tissue regeneration. The effects of thrombocytes are not based merely on the release of their own proteins and growth factors. The growth factors also activate other cells and the release of enzymes, so the regenerative capacity of the skin increases week by week. This is one of the explanations why the treated skin area heals at an intensive and accelerated pace and no other signs of the treatment are visible, aside from possible tiny puncture bruises appearing the day after the treatment. As a result, the skin becomes tighter, wrinkles are smoothed out, and the texture, volume and even hydration of the skin improves visibly. The healthy, youthful radiance of the skin will noticeably improve within a few weeks of the treatment, and in the following months, the expected final effect will be achieved through the appearance of newly formed connective tissue. PRP therapy is excellent for rejuvenating the face, reducing rings under the eyes, treating the skin of the neck and décolletage, refreshing aging, wrinkled hands, and for the treatment of rosacea and even hair loss. The treatment improves bags and rings under the eyes, while the natural shape of the eye remains unchanged. We take 18 ml of blood from the patient during the treatment and inject it into a special kit before placing it into a centrifuge. During the highly advanced PRP procedure, the separation of the platelet-rich PRP becomes visible to the naked eye after only a few minutes in the centrifuge. The PRP often contains 6-8 times and sometimes even 10-20 times the normal concentration of platelets. With the help of tiny injections or a derma roller, we introduce this valuable substance into the skin. Allergic reactions or infections cannot occur since we are using your body’s own materials for the treatment. The effect gradually builds up until we see the final result of a single treatment after 2-3 months. We recommend the number of treatments depending on each case, but one treatment every four weeks is sufficient for four months, after which one or two maintenance treatments per year are typically enough for more mature skin. PRP treatment is suitable for younger patients as well, for whom it is recommended to start early. Since prevention is always the best cure, those who begin caring for themselves early can add years to their youth. But this treatment can also naturally treat sagging skin and wrinkles that have already formed. Thread lifting is the newest way to tighten sagging skin. Until now, lifting sagging skin on the face, chin and neck could be only achieved with the implantation of threads through plastic surgery, involving a long recovery time and various possible complications. Thread lifting, which uses state-of-the-art absorbable threads, can be carried out in your lunch break. The material of the inserted threads is the same that has been used for decades for surgical absorbable stitches and is completely absorbed into the body. This technique is able to achieve delicate but visible results. Of course, the effects of this procedure are not as dramatic as a traditional facelift, but this means that the results are also more natural and the attractive natural features of the face and the area treated do not change, they are just restored to their rightful place. The other big advantage of this method is that there is no scarring and it requires either no or minimal recovery time. The thread lift is most suitable for the treatment of sagging skin on the face, chin and neck, but it can also be a great solution for other areas of the body such as the upper arms and stomach. This treatment is most suitable for people in their thirties, forties and fifties. Regardless of age, it is best to intervene and stop the process at the first signs of loss of tissue fiber. Of course, the technique can also be applied later on, but there comes a point where thread lifting is no longer a possible solution; only surgery. You don’t need to wait until this point, as prevention is available. The inserted threads not only provide support, the collagen-inducing effect they produce tends to stretch the skin in the direction in which they are drawn. This effect is known as collagen induction therapy. In this way, new tissue forms around the inserted threads, which then support the skin and keep it taut after the threads have been absorbed into the body. The skin will remain compact and youthful for a long time, usually 18 month to 2 years after the procedure is carried out. The effect can be increased through repeated treatments, which usually require the insertion of fewer threads. The procedure can be carried out with or without local anesthetic. The entire procedure lasts from 30 minutes to one hour, depending on the quantity of threads to be inserted. The effect is visible immediately, while a gradual increase in the effects can be expected in the months following the treatment as the threads are embedded and the new supporting connective tissue forms at the same time. In some cases, there will be some bruising or swelling for a few days and some light pain in the treated area. These complaints pass after a few days, however. Micro needling radio frequency treatment with diode LEDs combined with the revolutionary Vivace treatment. This treatment is an amazing innovation and ideal for today’s busy world. This extremely effective treatment with no recovery time and advanced procedures is one of the biggest hits of modern skin rejuvenation. This should come as no surprise: it can produce effective, visible results with almost no trace of the treatment the day after in the majority of cases. Micro needles applied to the surface of the skin cause micro lesions in the skin’s connective tissue fibers, resulting in intense regeneration and rejuvenation. Radiation emitted at the end of the needles heats and shrinks collagen and elastic fibers, enhancing the above effect. The red light spectrum of the diode led by the device enhances the production of connective tissue, while the blue light spectrum soothes the skin and reduces the bacterial count of the propionic acne bacterium. This latter effect is a great advantage in treating acne and pimpled skin. The radiofrequency can be calibrated with accuracy to the nearest millimeter, with the energy placed in the exact layer where the patient’s connective tissue is most needed. Before treatment, anesthesia is applied to help relieve the patient during treatment and ensure the procedure is painless. Treatment causes the skin to redden, but this will pass after a few hours. For very sensitive skin, you may have slightly red and scabbed skin the next day, which will then fade away. Treatment is a great way to make aging, dehydrated skin which has lost its shine more compact. It is very effective at treating acne scarring and is one of the best solutions currently available for treating large pores. It is most often used to treat the face, eyelids, chin, neck, décolletage and hands. This treatment can be safely applied every month. We usually recommend three to four treatment sessions. You should take a break of three to four weeks between each treatment session. After the treatment, your skin will immediately become more compact, while the effect will improve further in the following months. The biggest advantage is that it can be applied any time of year, even in summer.